Even though I’ve lived in Southern California my entire life, I had been up to the Bay Area only once! While I was in high school, our choir would travel to a “big city” for competitions once a year. It was San Francisco for my senior year, and while we did a little sightseeing (Alcatraz and the piers, mostly), I don’t remember much about the city since we spent most of our time inside theaters. Tim and I talked about wanting to do a trip up the coast to see San Francisco and Napa Valley for ages. We got close a couple years ago with a trip along the coast to Monterey. But this year, while Tim was on a break from work, we decided to go for it. We took a 10 day road trip up and down California, and spent 3 days and nights in San Francisco. But I didn’t want to spend the entire time on-the-go, I wanted it to feel like a relaxing vacation. And since we are foodies, we basically planned our days around restaurant reservations. That’s why I call this a “casual traveler’s” guide. We saw and did (and ate) a lot but it didn’t feel like we rushed through everything. It was very relaxed! If you’re looking for some advice for a trip to San Francisco, I’m outlining our vacation here. From our amazing hotel, to the sights, to the food. 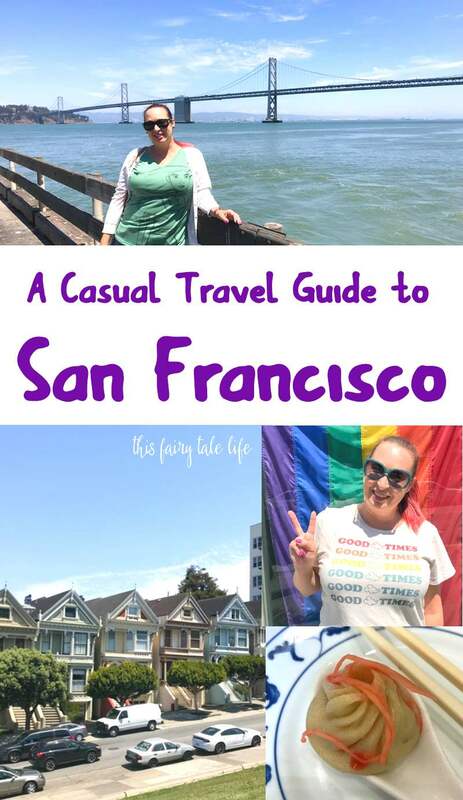 I hope this guide helps you plan a first time visit to the city by the bay! The hotel itself was wonderful. Friendly staff, gorgeous clean HUGE rooms, great views. We booked a standard room and were upgraded to a room with a city view in the tower. We had an issue with our first room – it was right next to the elevator and it was very noisy. With a quick call to the front desk they changed our room immediately with zero hassles. We ate at the main lobby restaurant Laurel Court Restaurant & Bar once, when we were tired from a long day of sight-seeing and didn’t want to travel to another restaurant on our long list of recommended places. The food was great, but HUGE portions. We easily could have split a dish. 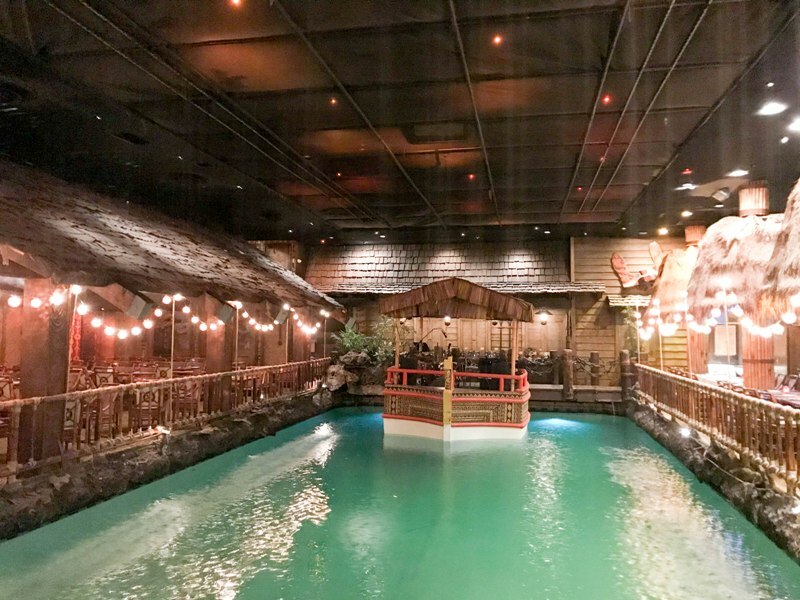 We also went to Tonga Room twice. Their drinks were delicious (and strong!) and the food was good but I wish their bar menu had a few more options, and the portions were small for the price. Be aware that this place gets crazy on Friday and Saturday nights. We waited in a long line to get in before I asked the staff a question and found out that hotel guests can skip the line because lounge tables are held for guests. We also had a couple quick breakfasts at Cafe Centro, a coffee shop inside the hotel but with a sidewalk front as well. Everything we tried here was good. Also, you can buy metro passes here. The location had it’s pros and cons. Pros – It’s in a great neighborhood, and at the intersection of two trolley lines. It’s very close to Chinatown and Fisherman’s Wharf. The major Con was the fact that it’s on a hill. It was easy to walk away from the hotel but not easy to walk back to it. Also, the trolley stops are convenient but getting on them was a hassle. They fill up quickly and we often had to wait for 3 or 4 trolleys to go by before the two of us could squeeze on one. A big part of vacations for us is trying new restaurants and bars. We love researching the best restaurants in a new city and getting recommendations from our friends. Here are some of the highlights. Top of the Mark – Tim’s parents recommended this lounge at the top of a high rise hotel, but little did we know it would be directly across from OUR hotel. 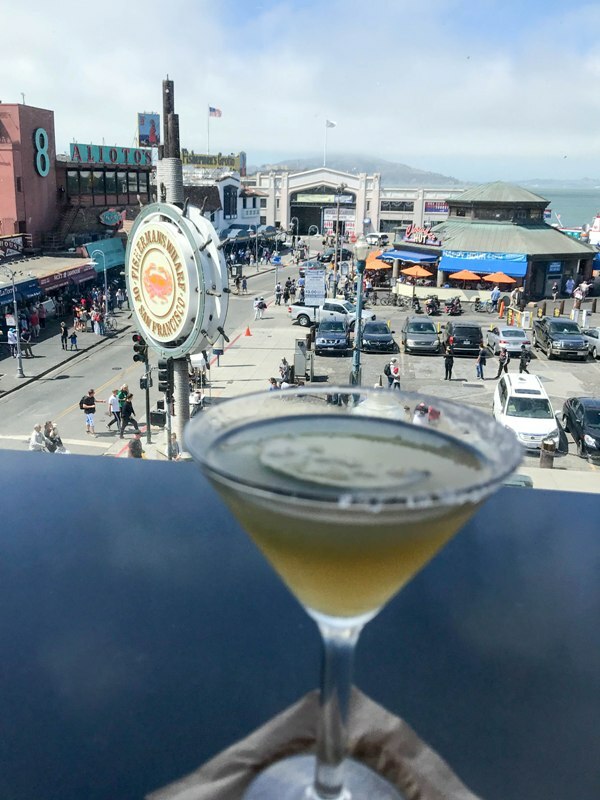 Top of the Mark is located on the 19th floor of the InterContinental Mark Hopkins hotel in Nob Hill, and offers beautiful 360 degree views of the city …. when it’s not foggy. We went up to see the sunset but unfortunately our view was all fog. This place feels swanky but we were welcomed in our t-shirts and jeans, and the drinks and food were great albeit a bit overpriced. I guess you pay for the view (or in our case, not). 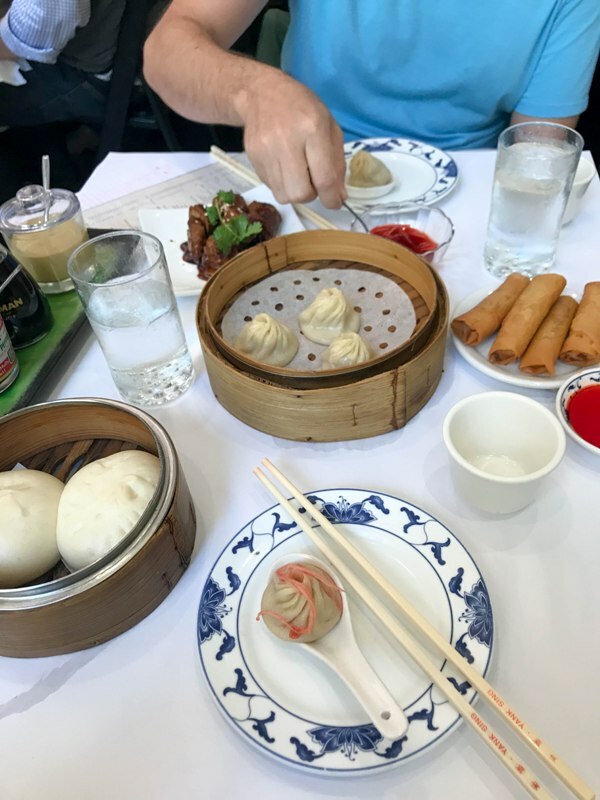 Yank Sing – A popular dim sum restaurant with two locations in the city. We ate at the SOMA location, as recommended by a foodie friend whose opinion on Chinese food we trust greatly. Since this location is in a huge commercial district, and we made our reservations for lunchtime, we had a bit of a wait and it was really hectic. I recommend avoiding the noon hour for lunch; by the time our meal was winding down around 1:30 the place had really cleared out and we had much better attention. Still – we had no shortage of food, and everything tasted wonderful. Applebee’s – Okay, now hear me out on this one …. After walking all the way from SOMA around the pier to Fisherman’s Wharf, we needed a decent place to rest and have a drink. Fisherman’s Wharf is crazy crowded, with long lines for everything. But across the street on Jefferson is a rooftop Applebee’s, with a (wind-shielded) balcony with great views. A great place to sit and watch the madness below. 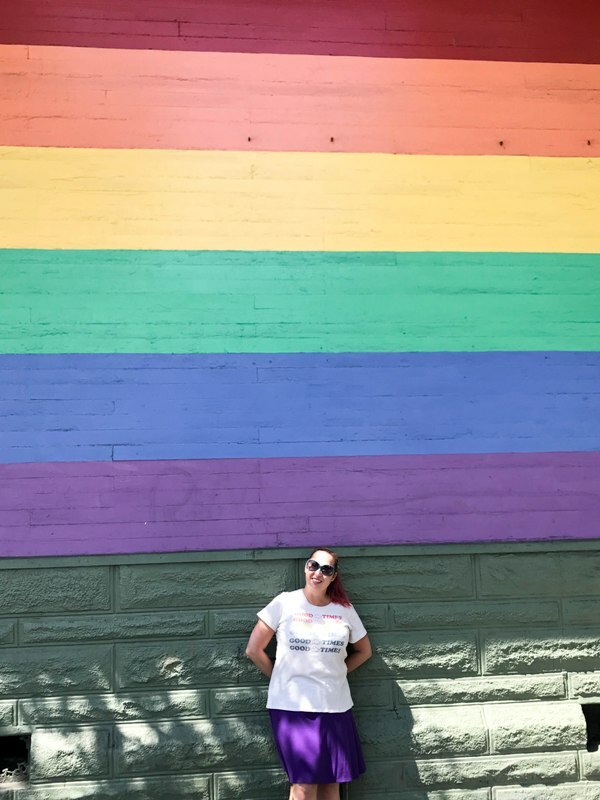 Hi Tops – We strolled around the Castro District for a couple hours and ended up chatting with a local who recommended a bar on Market Street. When we arrived at the bar we realized it was closed (evening hours only) and pivoted to a nearby bar called Hi Tops. It’s a gay sports bar (that’s literally how it was described in Google Maps) that had only high top seating. While we originally were hoping for a nice patio to enjoy the warm breezy weather, we ended up at an open air window at the front of the establishment. While we just had beer and wine here, it was a nice place to rest with friendly employees. 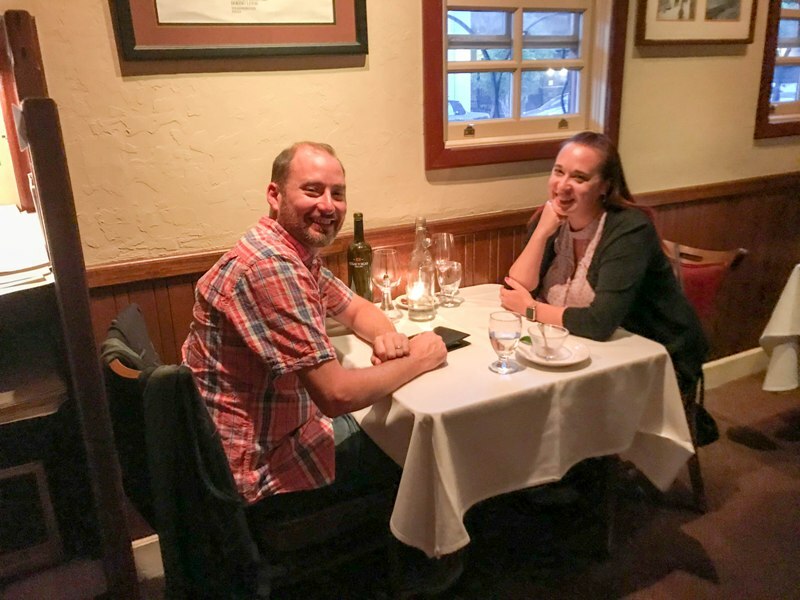 Albona Ristorante – For our last night in San Francisco, we wanted to treat ourselves to something nice. We made reservations for Albona, a restaurant in Little Italy with great reviews. It’s so small and nondescript that we almost walked right past it. Inside was super cozy, with a very friendly staff and some of the best Italian food I’ve had outside of Italy. Save room for dessert! Original Joe’s – When Mama’s on Washington Square had a line around the block, we found Original Joe’s instead. And I’m glad we did. We ate outside and had a delicious brunch with zero wait. The inside seemed huge and super nice, as well. In between our foodie tour of San Francisco, we took in a few of the sights, too. 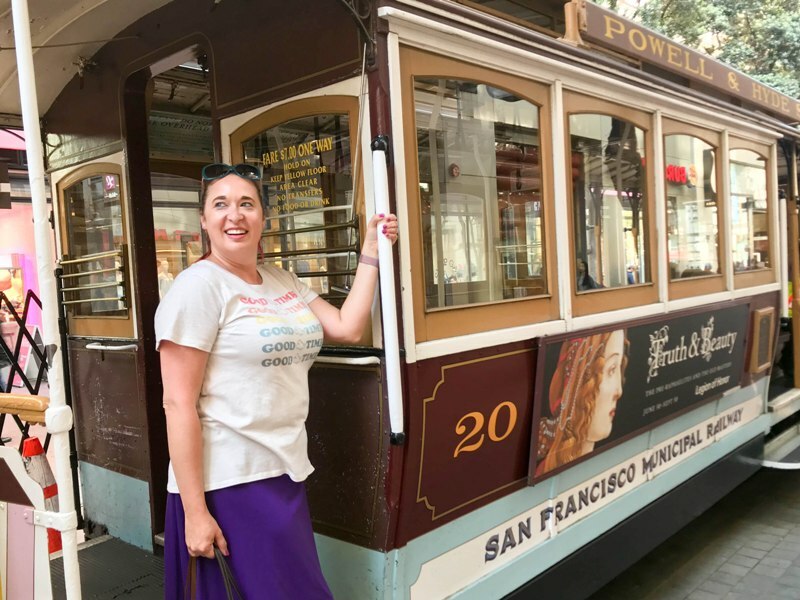 Since neither of us had really been to San Francisco on a real vacation, we wanted to make the most of it and see some of the famous sights. 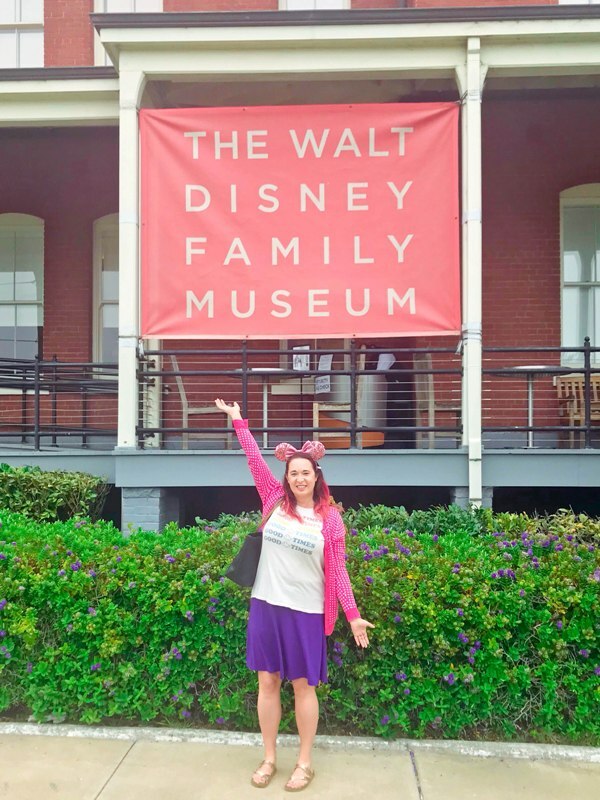 Walt Disney Family Museum – I mean, obviously. Located in the gorgeous Presido near the Golden Gate Bridge, the museum is a Disney fan’s dream. I shared a whole post on our day here! 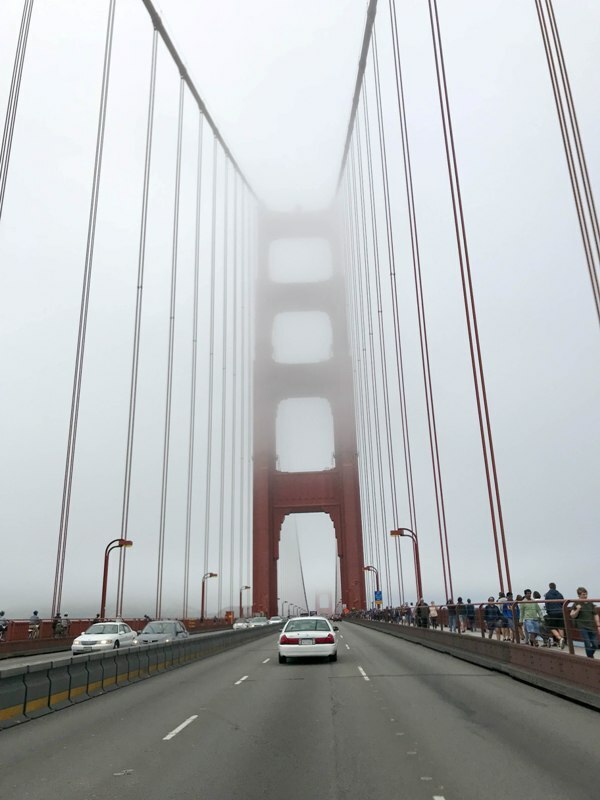 The Golden Gate Bridge – The iconic bridge connects the north end of the city to Marin County via the 101. During our three days in SF we tried our best to get a good glimpse of her but were foiled by fog and haze all weekend. We drove over the bride on our way out of town towards Napa Valley but didn’t stop since the weather was poor. Driving over the bridge was fun on its own. 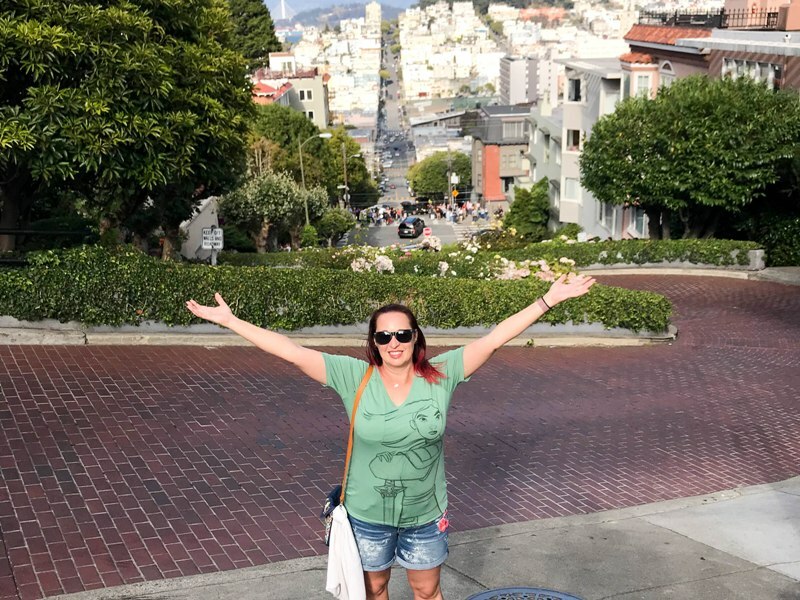 Lombard Street – Is any trip to San Francisco complete without a visit to the famous twists and turns of Lombard Street? I had seen it in a billion TV shows and movies (most recently Ant-Man and the Wasp) but I had never seen it in person. We weren’t too keen to drive on it but we took our tourist pictures at the bottom and climbed the stairs up to the top. There was a constant stream of cars and people all over the block, which must be maddening to the residents nearby (although, I guess you know what you’re getting into when you buy property near Lombard), as well as the constant yelling of security officers asking people to stop climbing on retaining walls and not to stand in the middle of the street. It’s worth seeing but don’t expect too much. After our 10 minutes at the street, we waited 40 minutes for a cable car at the top of the street. 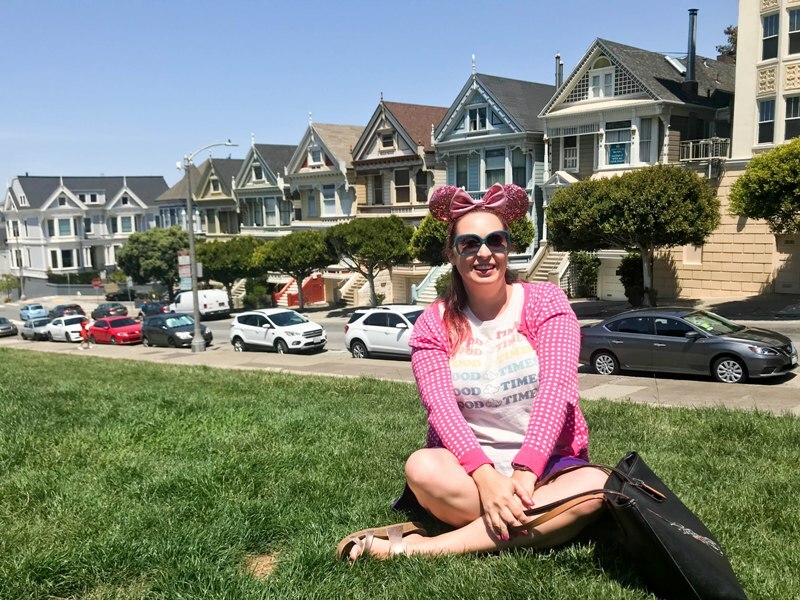 The Painted Ladies – This historic block of row houses was made famous (at least for me) by Full House. The homes are east of Alamo Square, a lovely park with lovely views. The crowds are plentiful so getting a good picture with no one in the background takes a bit of creativity and patience. From here, it was a (mostly) downhill walk to the Castro district. The Castro – The Castro district was one of America’s first gay neighborhoods and it still famous today for its gay-friendly establishments. There are rainbow painted crosswalks and rainbow flags in nearly every store window. 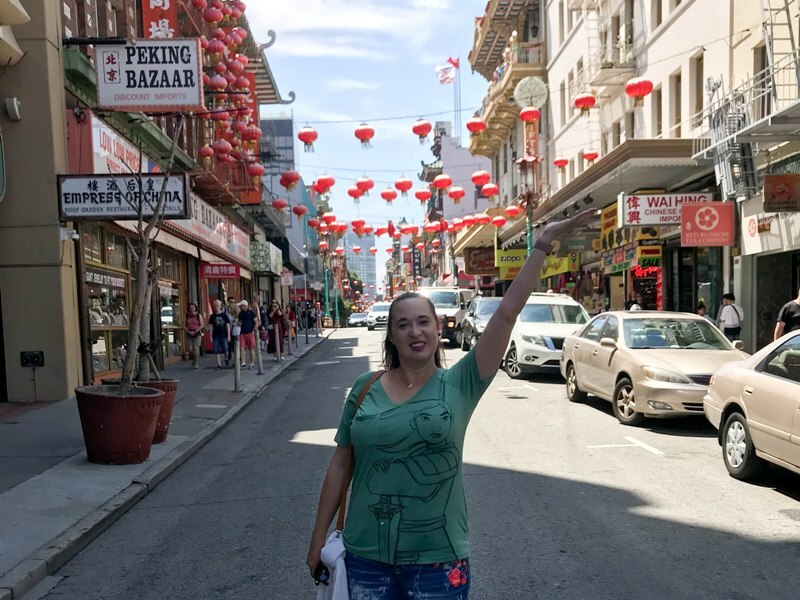 I like The Castro for its positive vibe, vibrant shops and restaurants, and easy transportation access, and if I were to visit San Francisco again I would likely choose a hotel in The Castro. 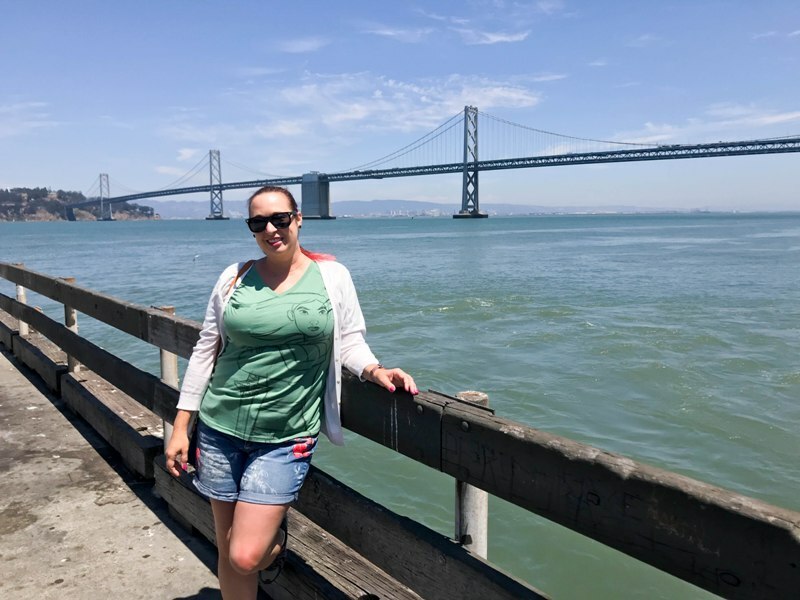 Pier 39 and Fisherman’s Wharf – After our lunch at Yank Sing we decided to go for a walk around the water. We started at Port of San Francisco and walked north past all the numbered piers. (Note – if you’re looking for restaurants on the water without the crush of Pier 39 tourists, we passed several that looked lovely.) By the time we got to Pier 39 we were exhausted, and that’s when we stumbled upon that Applebee’s. If you want to spend some time at Pier 39 I recommend NOT walking halfway around the peninsula first. Anyway – this is a true tourist destination, with lots of food, shops, and street performers. 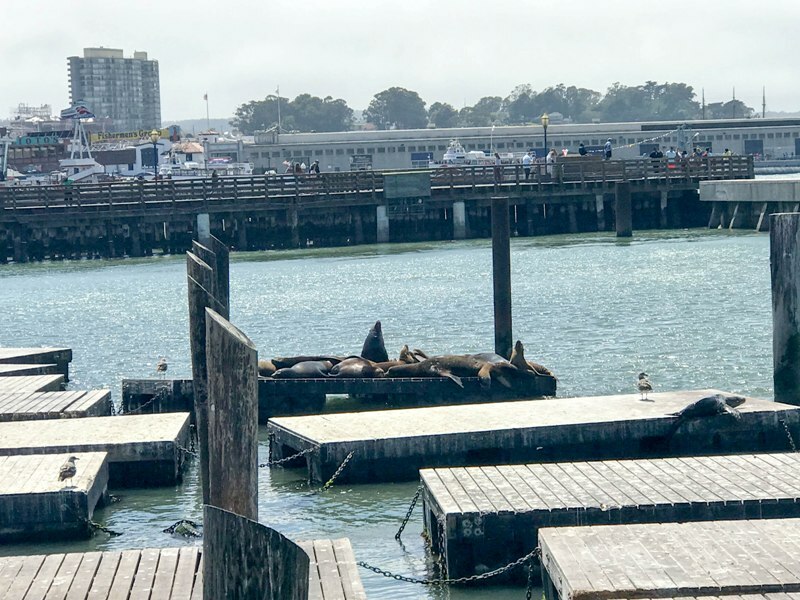 You can also find the famous Pier 39 sea lions, although there weren’t too many while we were there. Pier 39 will also give you a great view of the Golden Gate Bridge and Alcatraz (again, on a clear day). Further to the west is Fishermans Wharf, another touristy spot similar to Pier 39. Just a little further west and you’ll hit Ghirardelli Square, which we skipped due to time constraints. Chinatown – San Francisco’s Chinatown is legit. It was adjacent to our hotel so we walked through it a lot, but also took time to slowly walk up and down the streets, admiring the architecture and murals. So much to see. So much to eat. Definitely check it out. 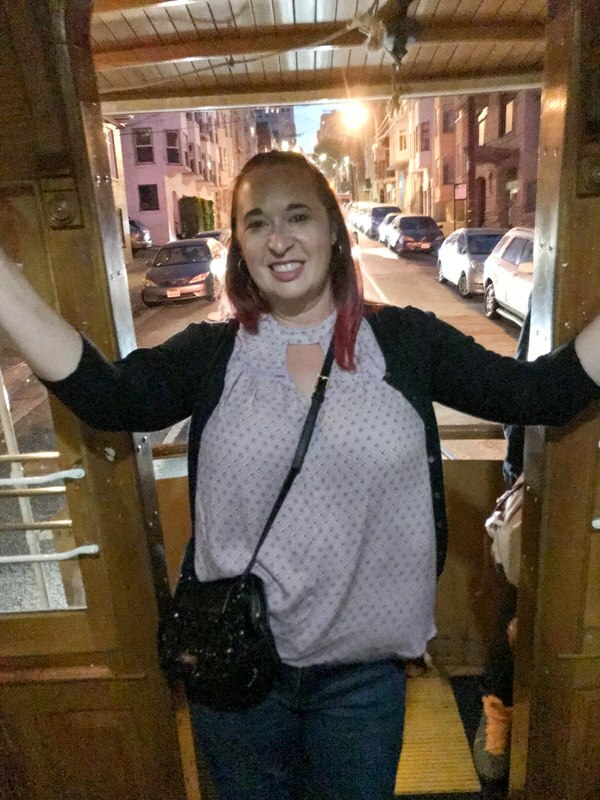 Alcatraz Island – One place we didn’t get to visit is Alcatraz, but I highly recommend it. We had both visited on previous trips when we were much younger but would have loved to visit again. However, you need to book your tickets a few weeks in advance. Since this trip was planned at the last minute, we were out of luck. Tickets are not available for “walk ups” so this really does need to be planned ahead. This concludes my review and recommendations for 3 days in San Francisco. Have you visited the city? What’s your favorite thing to do in San Francisco?